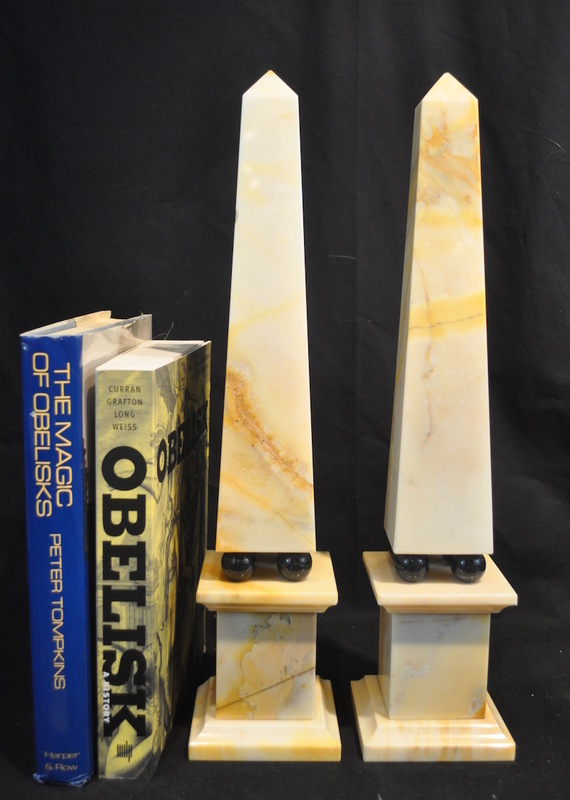 Obelisks add instant chic to your home! 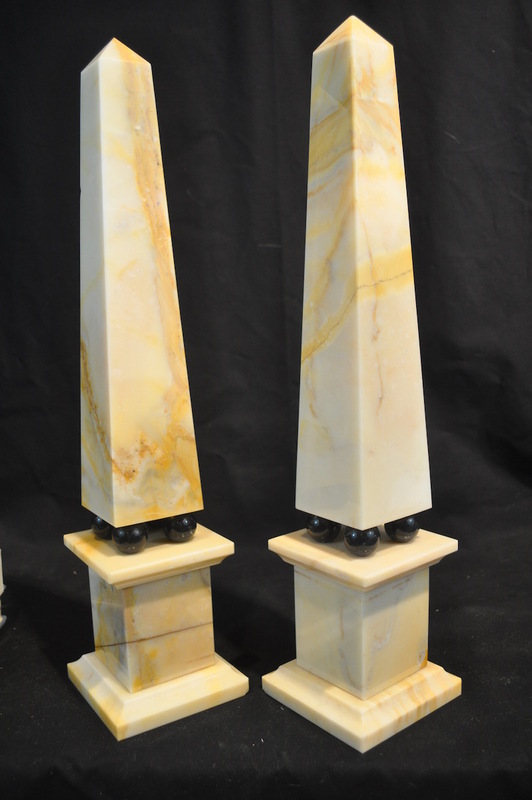 We have a handsome pair of vintage cream marble obelisks with attractive yellow veining. 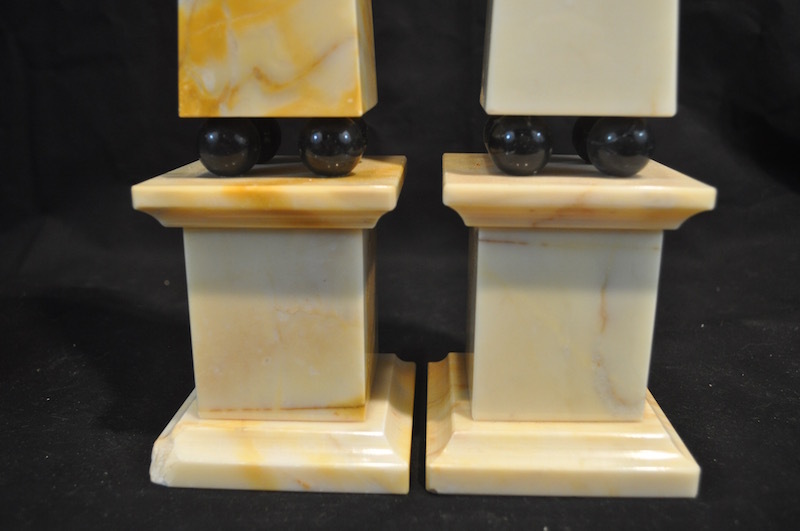 The obelisks sits on black marble balls for added interest and contrast. 16 1/2 inches tall. 16 1/2 inches tall. Base 3 5/8 inch square. One has a corner chip on one plinth, and a chip on the side of the obelisk on the same obelisk. There is a small nick on the other one on the base that is not noticeable unless on close inspection. You can see the chip on the base in the last photo, and the nick on the side on the middle photo. This is typical of vintage obelisks. More photos available on request. Also willing to sell a single obelisk. Copyright © 2018 Only Obelisks, LLC. All Rights Reserved.